Volunteers and visitors in the past. 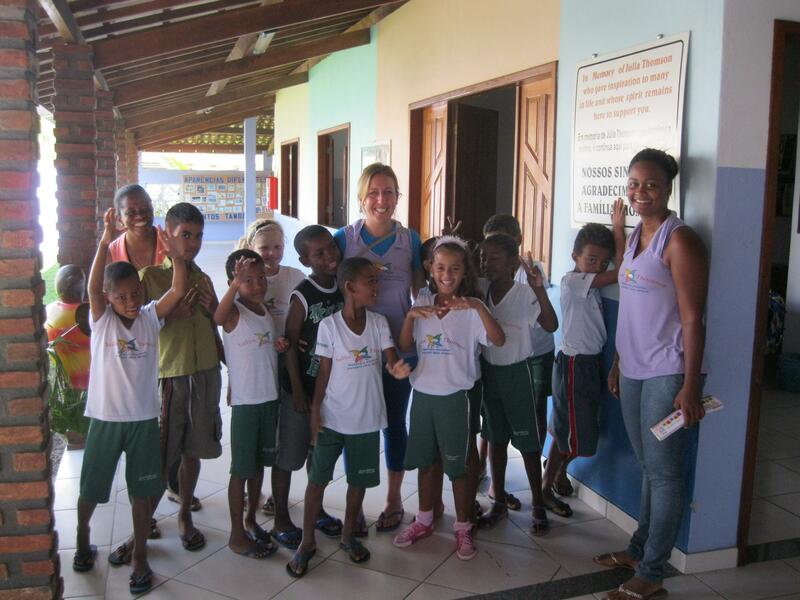 In September 2011 we were fortunate enough to have had Catherine (Bill’s great niece) volunteer to come to Canavieiras to help in the Julia Centre. 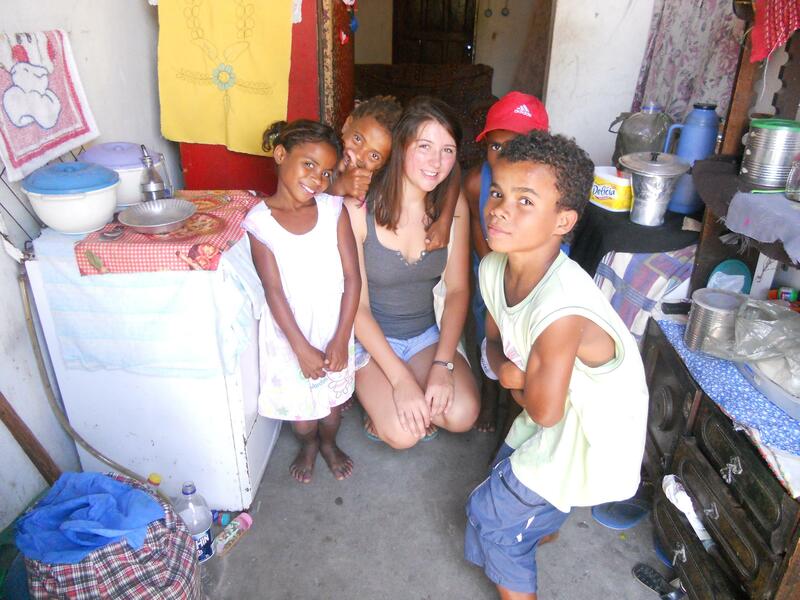 Catherine lived with a local Brazilian family and was soon speaking very fluent Portuguese ( a tough transition from her already excellent Spanish) and soon became a much loved figure in the community, teaching English to children and adults, as well as bringing her enthusiasm for learning into everything in which she was involved. 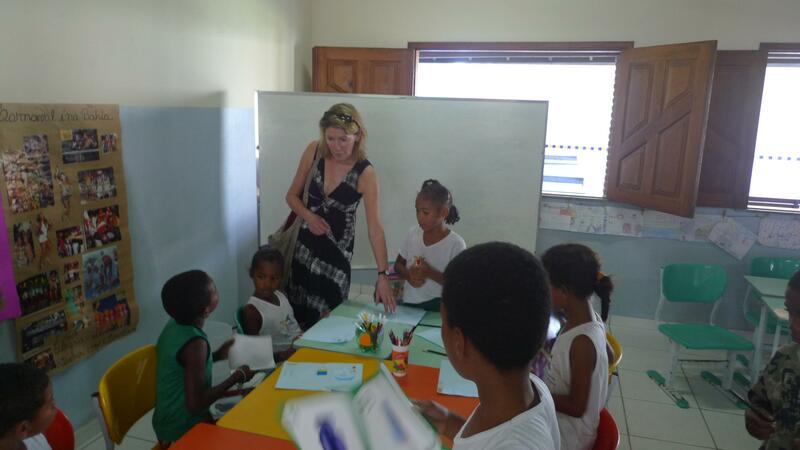 The children were even introduced to Algebra (!) in one of Catherine’s attempts to keep interest going with the older ones. Catherine was loved by all and sorely missed when she left Brazil in January to continue her travels around South America. 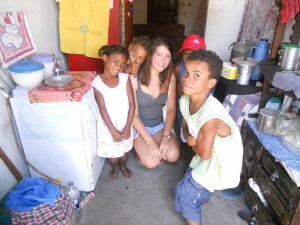 We are so indebted to her for all she did and wish her well as she starts her studies at Cambridge, this September 2012. Cecilia and Bill were delighted when Amber offered to come and volunteer at the Julia Centre. She and Julia had become friends in New York in 2005 when they were both working there and had many happy times together. Amber took a sabbatical from her job in order to travel and we were fortunate that she offered to come to Canavieiras for a few months as part of her journey through South America. 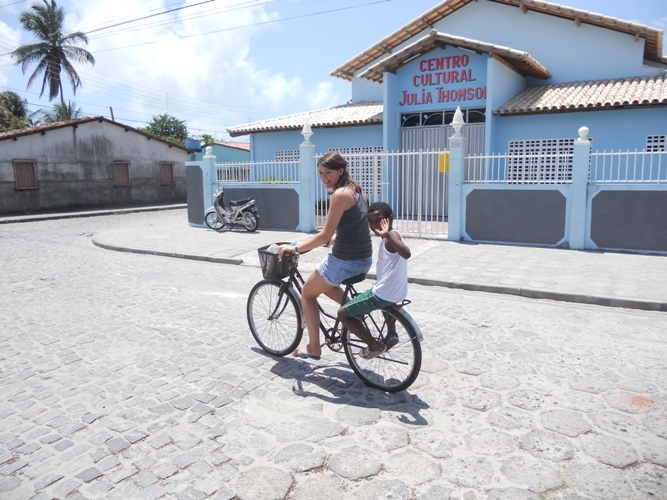 Amber lived with a local Brazilian family and was soon a familiar figure riding her bicycle in town on the way to the Centre. 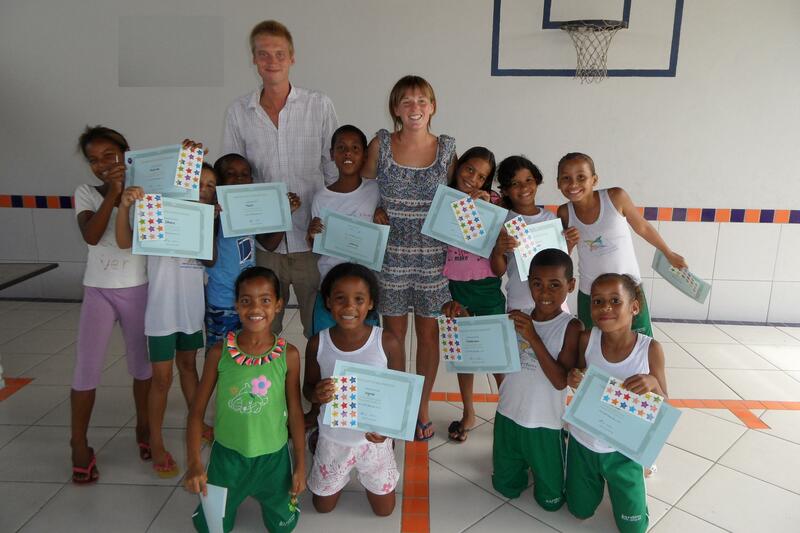 Amber brought much enthusiasm to her teaching and although her Portuguese was very good, she made sure that her students were made to speak English! We are so grateful to her for all she did. 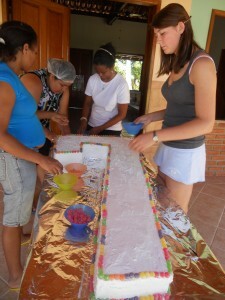 She is very much missed by everyone with whom she worked and especially by all the children she taught. Sara has been a continual inspiration to the community of Canavieiras. 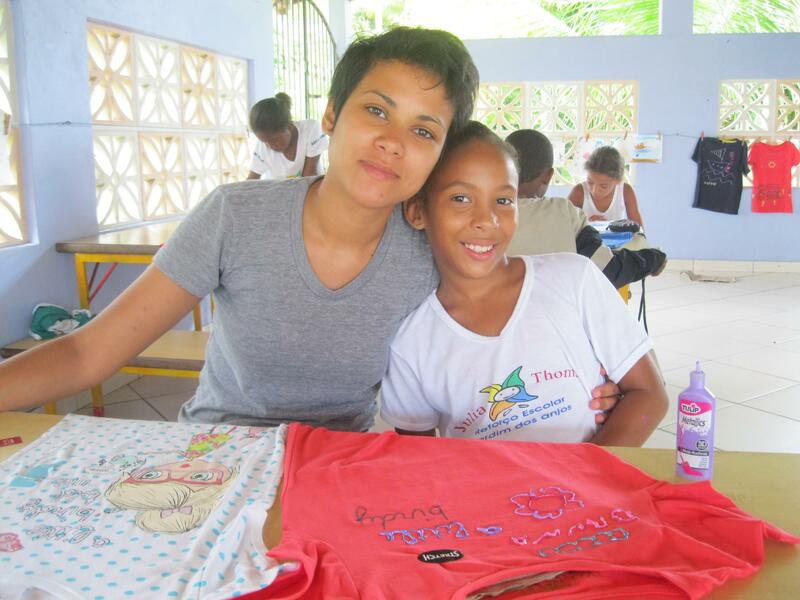 She has been involved in getting all ages to participate in dance and theatre and has put on many performances in conjunction with local youth groups. Her unique brand of enthusiasm is infectious to all who are lucky enough to be under her direction. We are so grateful to her for the many projects she has carried out at the Cultural Centre and will always look forward to her continuing help and support. 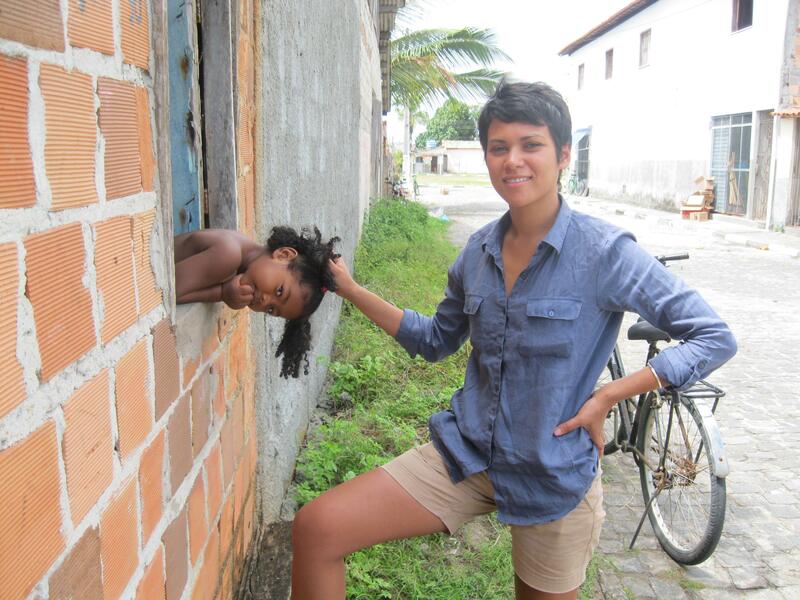 Thank you, Sara, for everything ! Amongst the many welcome visitors to the Centre last year, the children were delighted when Veronica Barber and Maeve Gold came to visit. 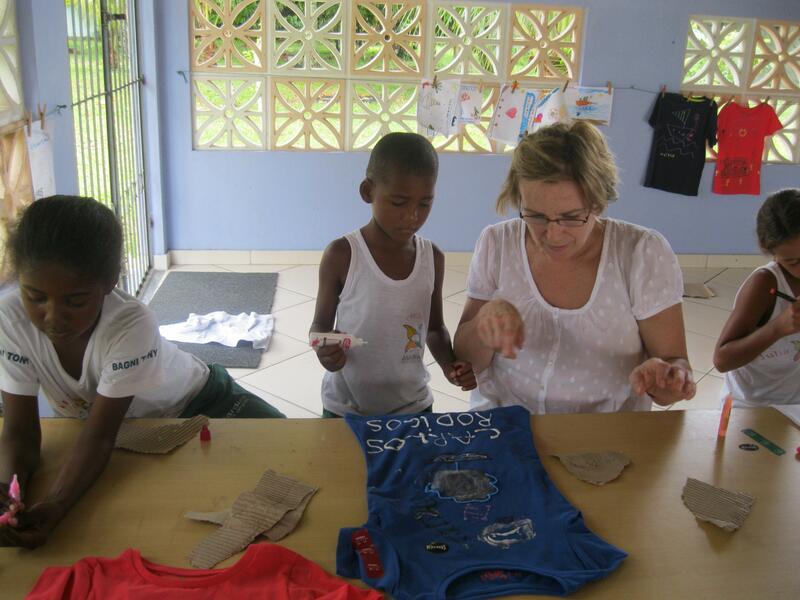 They brought with them their own art project of t-shirt painting, including the shirts and the special paints needed. 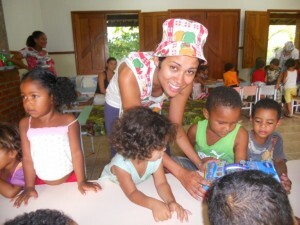 The children had a very happy morning and went home wearing their own art work ! 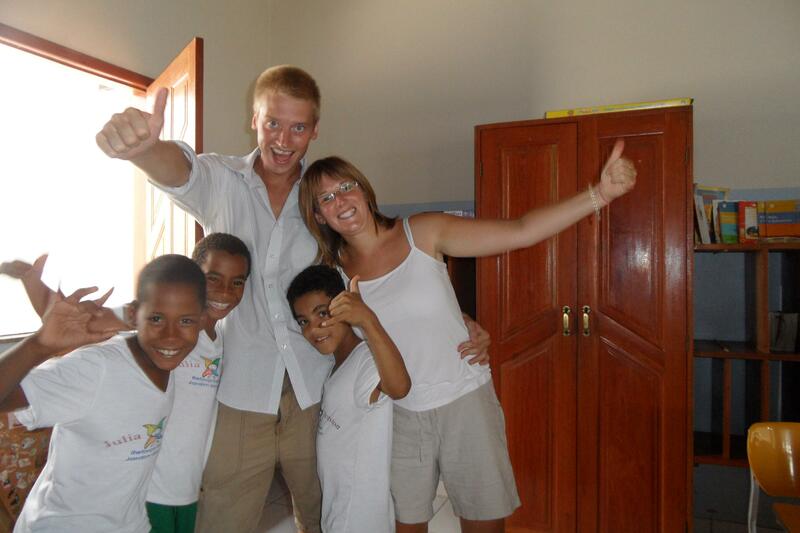 In September 2010, Bill’s cousin, Hugh Leslie and his fiancee, Nicola Miller, very generously volunteered to work in the Centre for three months . It would be impossible to thank them enough for their time and dedication. 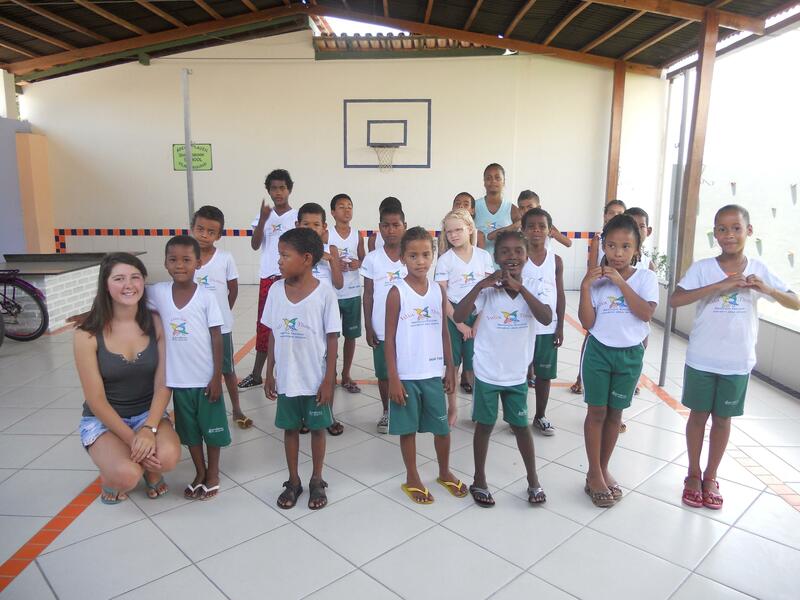 They both soon became much loved and valued members of the community in Canavieiras, and amongst many activities gave much needed English lessons to both young and old. 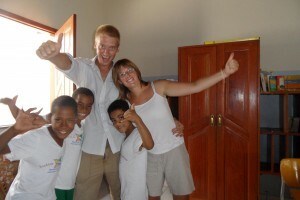 Hugh and Nicola went on from Brazil to many far flung parts of the world and are currently back in Britain. Hugh continues with his many IT projects and Nicky is practicing as a medical doctor in Stranraer, Scotland. We thank them for the bottom of our hearts for all they did. 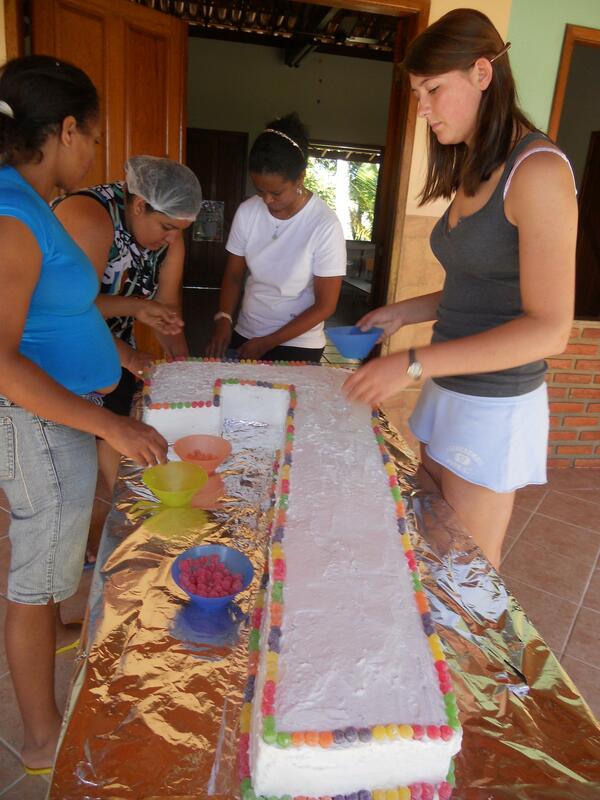 At present we are extremely fortunate to have another family member volunteering at “O Centro Julia” in Brazil. 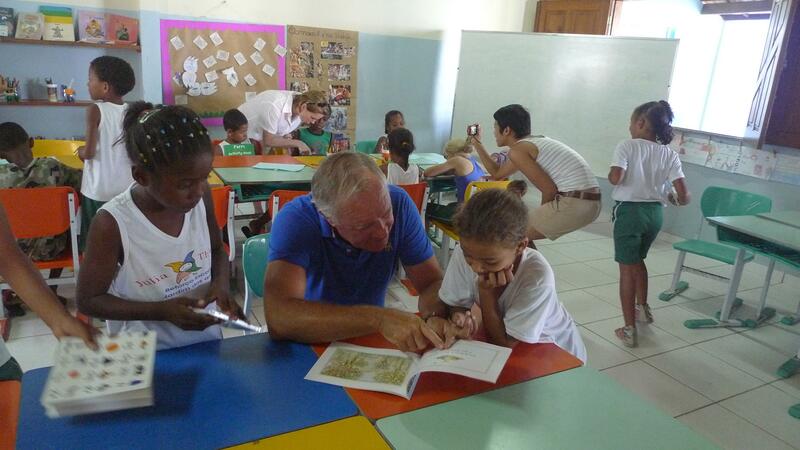 Bill’s great-niece, Catherine Bevin, will be in Canavieiras for three months, working with various age groups at the Centre, teaching English to the younger children, and adults as well. Catherine is on her “gap year” and will be taking up a place to read “Classics” at Cambridge next year. 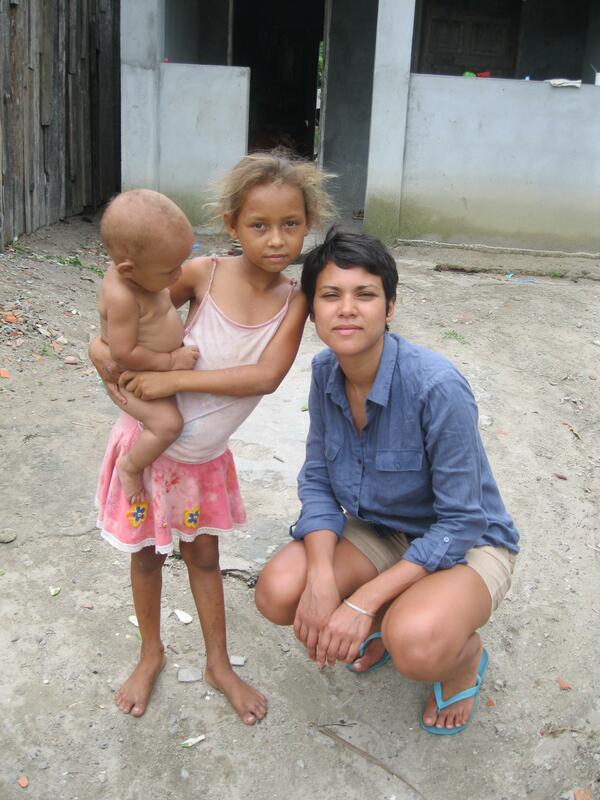 We are very grateful to Catherine for all she is doing and Bill and I look forward to seeing her in Brazil next month.